Sydney’s Palms are back with a new song that is a bit more rambunctious than usual. 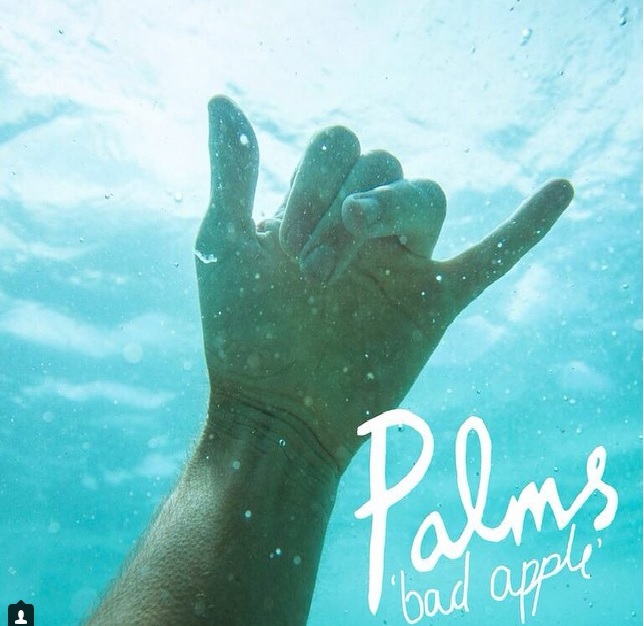 ‘Bad Apple’ is a great piece of guitar-pop that is more rough around the edges than some of the tunes found on the previous release from Palms, Step Brothers. I adored Step Brothers and I really dig this song too – I think it is interesting to note that while the hooks remain intact, the sound is a tad on the scuzzier side and scrappier – that being said, it’s as effervescent as ever. The song was recorded with the expert help of Owen Penglis and I think his touch is evident in the rough-hewn fizz that ‘Bad Apple’ has got going on. It’s not Straight Arrows levels of squall, but it’s strongly reminiscent. When listening, I get the feeling that this song perfectly encapsulates a teen rebellion. Although no member in Palms is a teen anymore, they know how make their listeners feel like they are teens still and that’s a big part of the charm of their music. The song was released with a clip of the dudes cutting sick on some skateboards and BMX bikes – a perfectly messy clip for a perfectly messy song. Palms will be releasing their sophomore album through Ivy League Records some point in the near future – I’m looking forward to using it a soundtrack for doing something silly.